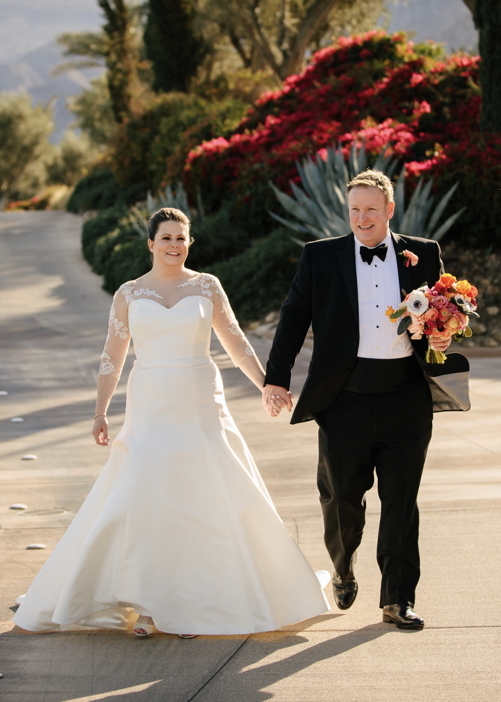 Natalie Anne Kirk and Jeffrey Cotton Welch, Jr. were united in marriage at La Quinta Country Club in Palm Springs, California, on March 3rd. The bride is the daughter of Mr. and Mrs. Frank Hanna Kirk of Prairie Village, Kansas. Her groom is the son of Linda Hamilton Welch and Mr. and Mrs. Jeffrey Cotton Welch, all of Tulsa, Oklahoma. The couple were honored with two cocktail receptions on the evening prior to the ceremony: one hosted by their parents at La Quinta Country Club, and another given by Mr. and Mrs. Robert Esrey at their lovely home. Following the ceremony, the Kirks toasted their daughter and new son-in-law with a wedding reception at La Quinta Country Club. The newlyweds toured the wine country of Sonoma, California, and are now at home in Kansas City, Missouri. Natalie is employed with Merrill Lynch in Kansas City, and Jeffrey is careering with the JCW Group in Prairie Village, Kansas.